Confident and affectionate companions, trustworthy, capable partners. Kings Valley Collies is a breeding and training facility located on a 160-acre tree farm in the beautiful foothills of the Coast Range, northwest of Corvallis, Oregon. 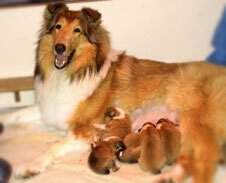 Since 1972, Kings Valley Collies has bred Collies of classic beauty, intelligence and character. 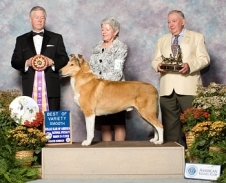 Kings Valley Collies share a well deserved international reputation for excellence: In the show ring, on the farm, at home, and in service, our Collies are confident and affectionate companions and trustworthy, capable partners. In photo above, Kings Valley Collies Owner, Leslie Rappaport shares a moment with Ramsey, a Shining Star award winning service dog. Find out how Ramsey gave his life to protect his partner. Eva authored “Banner, Forward!” the pictorial biography of a Guide Dog. (E.P. Dutton, NY.,1969) See also Eva’s article on The Kings Valley Lifestyle. See more about our top producers, past and present! Find a puppy for you! Best in Specialty Show Ch. Kings Valley Demuir Here I Am, R.O.M. (Cameron), Collie Club of America’s Best of Variety Smooth in 2010. 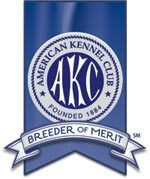 Cameron was also named the CC of A 2010 Best Stud Dog (Smooth). 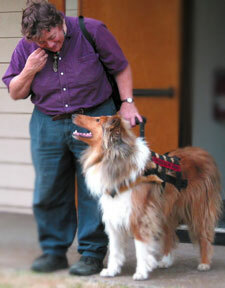 Watch our “Mobility and Support” video to see how a Kings Valley Collie can help you! I still smile when I remember my first encounter with Blessing. It was years ago, when Rebecca Tolby still had a practice in McMinnville. My modus operandi, then and now, is that I make an appointment in McMinnville and then leave Dayton exactly five minutes before I am due to be there. Now you can get to McMinnville from Dayton by the back roads or by the highway, but there is no way you can get to McMinnville from Dayton in five minutes, especially if your are a law-abiding citizen, as most days I strive to be. So I arrived at Dr. Tolby’s office late, breathless and flustered, sank down into one of the chairs in the waiting room, looked around for a magazine and met the gaze of the most beautiful collie I had ever seen. This dog had a lush blue-gray coat, a magnificent build, and a demeanor so calm I felt myself relaxing even as I silently admired her. 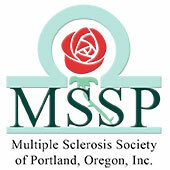 If people with multiple sclerosis (MS) share one goal, it’s to remain independent for as long as possible. That one life quality sustains hope and determination above all else. 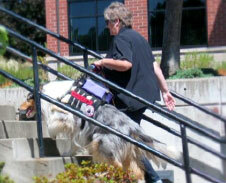 A major aspect of independence is mobility, often a tricky if difficult maneuver to achieve. Certainly, mechanical aids are available from shoe orthotics to leg braces, from canes and walkers to wheelchairs and motorized scooters. They all offer useful support at some point and in many circumstances. But life quality means more than the use of props. It means interaction, relationships, communication, contact. So imagine the possibility of maximizing both mobility and support through service dogs trained specifically to respond to people with MS. 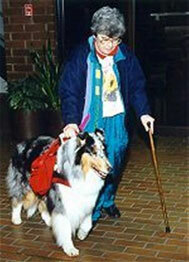 Imagine Lassie at your side, not only alert and intuitive but prepared to handle issues of balance, fatigue, proprioception, and spasticity. 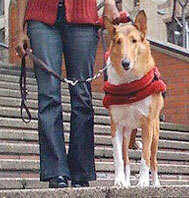 Imagine a collie who not only helps you manage stairs, elevators, sidewalks and curbs, but who also is a stabilizing presence at home. Imagine your best friend at your side wherever you want to go.